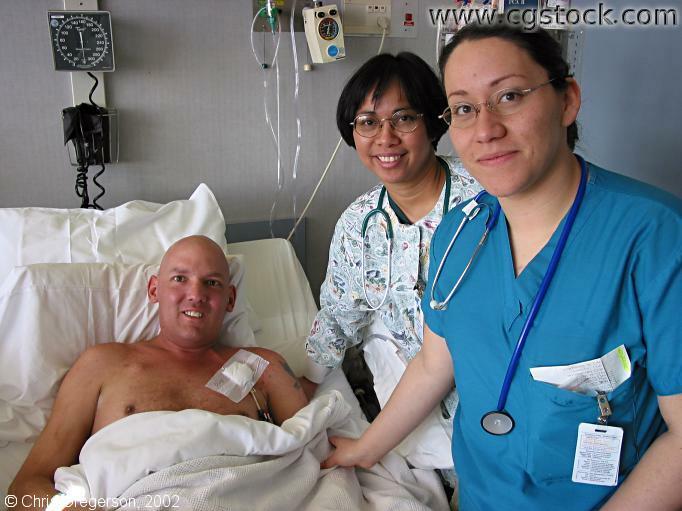 On the left is my brother Marc during the recovery period of his stem cell transplant at UCLA. Two of his nurses are on the right. Marc's medical condition was demanding and complicated, and they provided very good care.